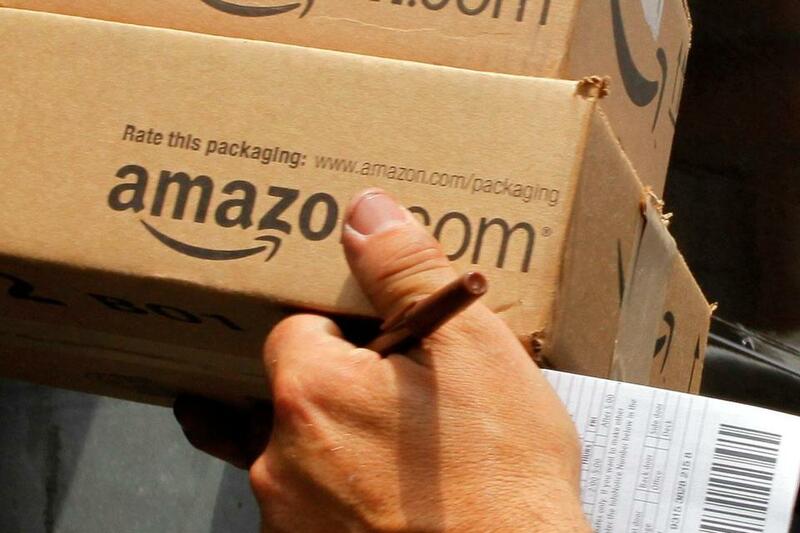 Amazon’s same-day service is just the beginning of a new wave of experimentation. I did something evil last Wednesday. Instead of walking two blocks to the Staples near my house to buy printer ink, or 10 blocks to my neighborhood bookstore to pick up a paperback that a friend recommended, I placed an order on Amazon.com and selected the “same-day delivery” option. Just over nine hours later, an Amazon box appeared on my doorstep. The convenience cost me $11.97. Why do I say evil? Because I appreciate having stores in my neighborhood that keep the main drag vibrant and participate in the life of the community. And Amazon’s same-day service is just the beginning of a new wave of experimentation that could pose yet another Darwinian challenge to brick-and-mortar businesses of all sizes. EBay and Google are also testing the waters — though not yet in Boston — and last month Walmart hinted at an intriguing strategy that would involve inviting its customers to become volunteer couriers. In the same way that e-commerce and the digital delivery of books, videos, and music led to the demise of lots of companies (remember Mike’s Movies, Strawberries, and Borders? ), this feels to retailers like a new threat. Those with memories that stretch back a dozen or so years (or who have watched the documentary “E-Dreams”) will remember Kozmo.com. The start-up offered free delivery of videos, toiletries, and snack foods in about an hour, thanks to a fleet of drivers and bike messengers. The company raised $250 million — including $60 million from Amazon — but couldn’t make the economics of same-day delivery work. Kozmo was out of business by 2001. Several companies are testing same-day delivery of products ordered online or with mobile apps, in Boston and elsewhere. This time around, there are once again start-ups trying to solve the puzzle of same-day delivery, such as Postmates, which raised $5 million last month. But most of the action centers on big companies with deep pockets. To get my recent order to me, Amazon relied on an existing distribution center in Nashua, and a nationwide courier service called A-1 Express, which carried my box from there to Brookline. EBay is building its own network of “shopping valets” for its eBay Now mobile app, launched in August. They fetch merchandise from chain stores like Nordstrom and Best Buy, and deliver it for $5. Consumers can follow their progress on a map, and get an estimate of arrival time. Google is taking a similar approach in the San Francisco area with Google Shopping Express, which was unveiled last month. Framingham-based Staples is among its retail partners. The service’s early users are getting six months of free, unlimited same-day delivery; regular pricing hasn’t yet been announced. Walmart began testing a same-day service called Walmart To Go last year in several metropolitan areas, for a $10 fee. And in a recent Reuters interview, Joel Anderson, chief executive of Walmart.com, suggested that the Arkansas-based chain might eventually turn some of its customers into a courier corps, offering discounts to shoppers willing to drop off an order or two on their way home. Some businesses in Boston, including many stores that sell liquor or appliances, already offer same-day delivery. In Cambridge, the Harvard Book Store has had it as an option since 2009, priced at $5 for the first book, $1 for each additional book. Cargo bikes operated by Metro Pedal Power carry the merchandise. Henry at Stellabella Toys says his business doesn’t promote the same-day delivery, but he will do it in a pinch. “I’m going to resist being pushed into it, because I don’t think customers really want it,” he says. His focus: getting customers into his stores to see the assortment of 6,000 items they carry. But Forrester Research analyst Sucharita Mulpuru believes that all of today’s same-day services are operating at a loss, and that most consumers wouldn’t be willing to pay the full price if it was passed on to them. Let’s fast-forward a few years. Amazon has already acquired a North Reading company, Kiva Systems, that sells warehouse robots that help fill online orders, and Amazon chief executive Jeff Bezos is an investor in a Boston company, Rethink Robotics, that makes a dextrous, two-armed robot named Baxter. Google is developing a self-driving car. Several companies, including a new Harvard Business School start-up called Daedalus Systems, are considering using airborne, battery-powered drones to deliver small packages — once the Federal Aviation Administration establishes guidelines. In other words, the FedEx of the instant gratification age may not need pilots, distribution center workers, or drivers on its payroll.